I live in an area that has an abundance of ponds–and thus an abundance of frogs. This time of year the cheeping, croaking, and peeping is deafening. I love it! It’s not uncommon for me to have one or two of the cute little buggers attached to my living room window like funky decorative clings. 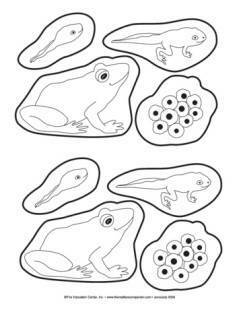 The topic of frogs has always been a favorite of mine to teach. 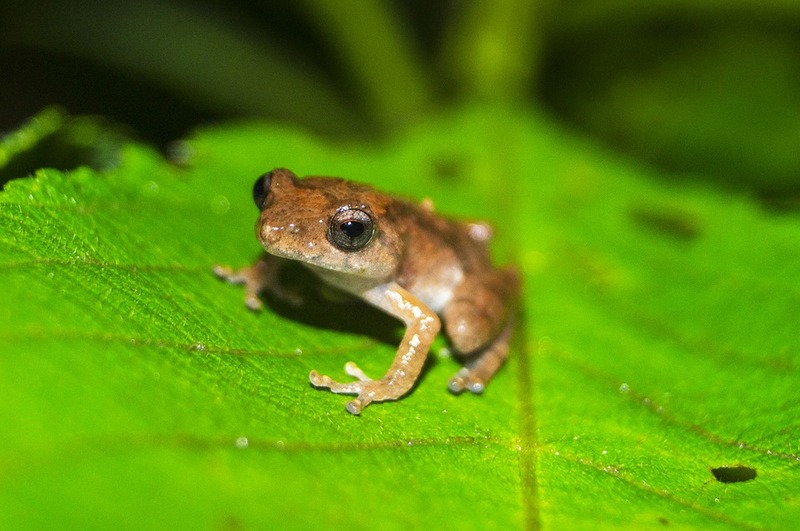 Whether students find frogs fascinating or a little icky, the topic always grabs their attention. But I know it’s tough to fit science into your day! So here are frog-themed activities that also support important reading and writing skills. Ribbit! 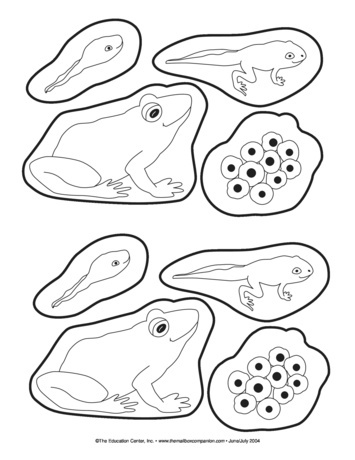 Have students color and cut out these life cycle patterns, glue them in order on a strip of construction paper, and then write to describe each step of the life cycle. You can also have students arrange them in a circular formation on construction paper and then label each picture. Students research frog facts in nonfiction texts at this center! My favorite frog craft is to take a clip art frog, a party favor blower, some velcorve, and some paper bugs. 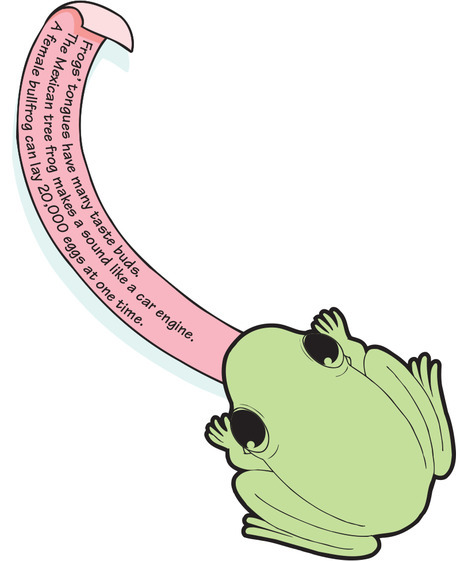 I make a hole in clip art frog where the mouth is big enough to fit the blower in . I put a piece on velcove on the bugs and at the end of the blower. Not the children can use the frogs tongue (the blower) to caught the bugs. The children love it!